The only thing better than a grandma is a grandma who likes to do stuff — and who wishes her grandchild was there to do it with her. 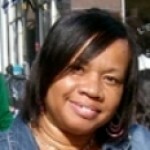 That’s the grandma that graces the pages of author Helen Foster James’ newest picture book, With Love, Grandma, XOXO. The book opens to a touching scene: a lush and lovely two-page spread of Grandma Hedgehog leaning out of the window of her camper, waving goodbye to her beloved grandchild who waves back with a big smile. It is a simple scene that is instantly reminiscent of the times a grandmother has, for whatever reason, been separated from her grandchild. 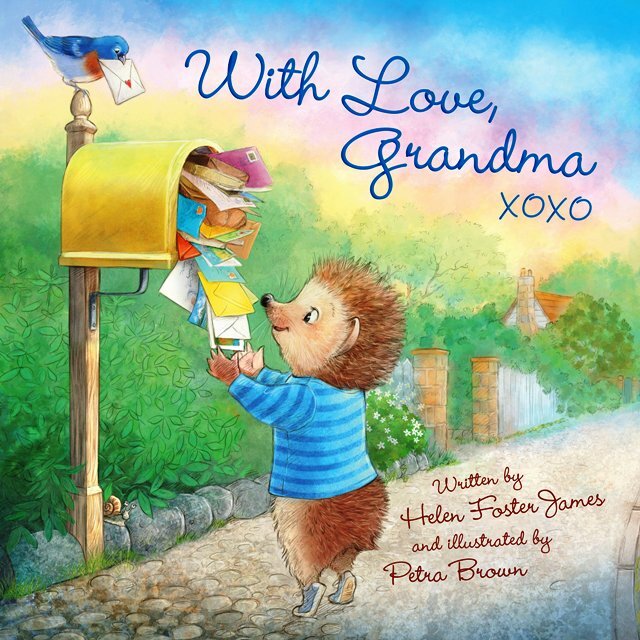 Grandma Hedgehog is embarking on a spring and summer vacation, and though her plans do not include her little grandchild, she has the perfect solution to how to keep the two of them connected: she writes regular letters of where she is and what she’s doing while she’s away. When she encounters a meadow full of wildflowers, she writes to her grandchild about what she sees and also mails a package of wildflower seeds the grandchild can plant so s/he can experience wildflowers for him/herself. When Grandma goes rock climbing and encounters a mother dear with her fawn, she snaps a picture and sends it with the latest letter. Grandma also gets to ride on an old-timey train, and to make sure her grandchild doesn’t feel left out, she reminds him/her of the time they rode Chester Choo Choo when she was in town. This book is so sweet it may very well be fattening! The prose is lively and fast-paced, but it is also nostalgic and sweet at the same time. The endearments Grandma Hedgehog uses when she writes to her grandchild (Sunshine; Sweet Pea; Precious; Doodlebug) will make young readers smile and older readers long to hear their own grandma’s voice again. As young readers reach the satisfying ending, they are gifted with even more sweetness: two “how-to” pages for making S’mores and Pirate Hats with your favorite grandma. Use this book to open discussions about family relationships, summer adventures, journaling, writing to pen pals, and how to make the best of being separated from your beloved grandma.